We bought these at our local Pet Smart just for something new to try. 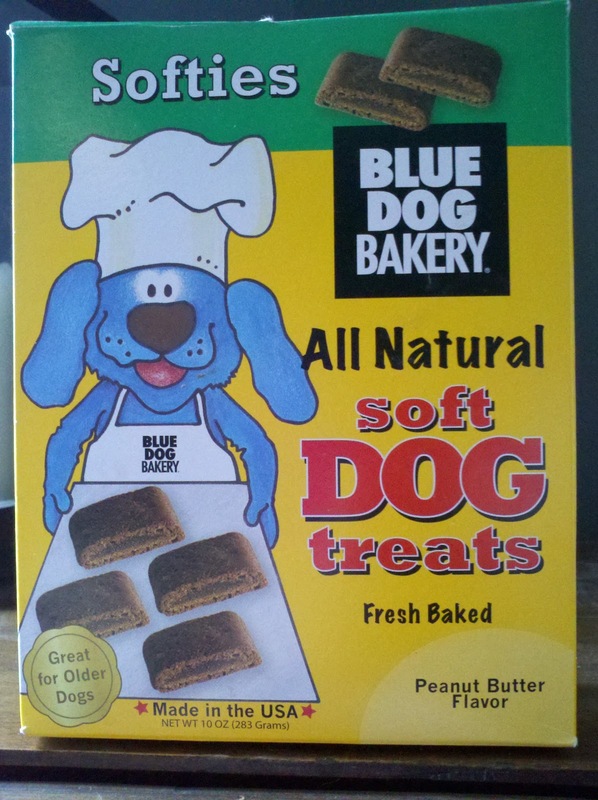 Okay okay, we quickly looked at the box and saw the word "bakery" with the blue dog carrying some fresh baked treats and immediately thought they were treats we could bring home and bake ourselves! We weren't the brightest bulbs on the tree that day. Anyway, I am pleased to say our mistake wasn't a bad one, because they were a pretty unique treat! First off, I love that they are all natural. No animal by-products, no artificial colors or flavors, and no preservatives. If you notice the box says they are great for older dogs, and I agree. They are small, soft, chewy bites (similar looking to a brownie bite) that would be very easy on an older dog's teeth. We got peanut butter flavor, knowing my boys already liked it, and they gobbled them up! The boys just had one for having to stay at home without me today I highly recommend these treats and will be going back to try other flavors myself! If you want to check out their other products, click the link at the top! We have not tried those exact cookies, but we have tried one or two of their other varieties. I pronounced them PAWSOME! They look yum...and we LOVE peanut butter. Thanks for the review! We always wonder about treats - it's nice when our blogging buddies share what they think about them! Mom got me those treats once and I think I ate the whole box! Yum! Yum! Be sure to check out their Classic Cremes! They look like Oreos. Kirby looooves the carob n peanut butter ones! Felix used to eat those, before we discovered his grain allergy, and he loved them! They look yummy, hope you enjoy them! Yummy Murray. Have a great day. I will try the others, thanks! Make Your Own Natural Dog Toothpaste- EASY DIY! Mix all items together in container until it forms a thick paste. Happy Brushing! I'm an overall animal lover with a special interest and passion for natural ways to keep dogs happy and healthy.